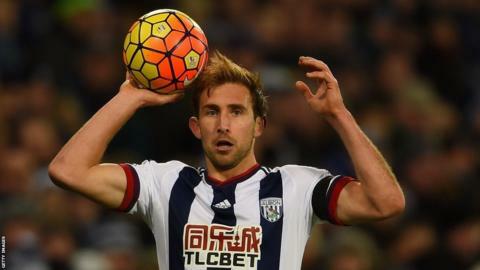 Defender Craig Dawson has signed an improved one-year contract extension at West Bromwich Albion. The 25-year-old has made 97 appearances and scored four goals since joining the Baggies from Rochdale in August 2011. Dawson's current deal still had a year to run but his new contract will keep him at The Hawthorns until 2018. "I'm really enjoying my football, especially over the last year and a half when I've been a regular in the first team," he told the club website. "I've been down here a few years now, the family is settled in this area, so it was a very easy decision to extend my contract. "It means I can just concentrate on playing and doing everything I can to stay in the team and carry on contributing to things."